One I do quite often is: How Chiropractic Care Can Benefit You During Pregnancy. Since a woman’s body goes through numerous changes in just nine months for the development of a baby, altering the woman’s gait, center of gravity, added weight, and flexibility of the spinal structures and ligaments. 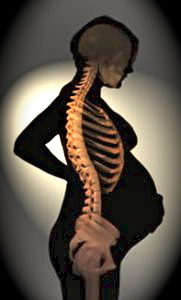 During a woman’s pregnancy the efficacy of Chiropractic care is just as strong as the need by anyone else, if not more. While the body is undergoing all of these alterations in preparation for the developing baby, the mother often has episodes of lower back pain, hip discomfort, nausea, morning sickness, leg pain, hemorrhoids, and varicose veins. However, if a mother is under Chiropractic Care, many of these mentioned symptoms can be decreased and/or alleviated by adjustments, nutritional advise, and exercise. Chiropractors can accomplish this without the use of medication that can be harmful for the developing fetus and the mother. To find out more about How Chiropractic Care Can Benefit You During Pregnancy watch this short video presentation by clicking on the video below. The areas of the spine that Chiropractic Care can help during each trimester. How Chiropractic Care can possible reduce mean labor time. How Chiropractic Care can relieve some of the many common symptoms of pregnancy. I hope you enjoyed this video presentation and it served it’s purpose to inform you on how Chiropractic Care can benefit you during pregnancy. Can Chiropractic Care Help Treat Diabetes?